NAIROBI, Kenya — An arrest warrant issued this week by the Kenyan high court for Sudan’s President Omar al-Bashir set off a new diplomatic row. In spite of initial remarks by the Sudan foreign ministry that downplayed the warrant—chalking it up to an internal Kenyan power play on a politically sensitive issue—the ministry announced Tuesday that the Kenyan ambassador was being given 72 hours notice to leave the country. Indeed, the issuance of the arrest warrant comes at a diplomatically tense moment in Kenya, with the army engaged in its first offensive across the border in Somalia as part of a regional effort to defeat the militant group al-Shabaab. Somalia’s Transitional Federal Government responded to Kenya’s incursion with an initially tepid response, and Shabaab has vowed dramatic retaliation. Coincidentally, the Kenyan court’s ruling on the arrest warrant came as news emerged of the likely rejection of Sudan’s appeal to join the East African Community trade bloc—another example of strained relations as Sudan, now separate from South Sudan, tries to find its footing in the region. But the timing of the High Court’s ruling wasn’t deliberate, said George Kegoro, the executive director of the Kenya chapter of the International Commission on Jurists, or ICJ, the group that filed the application for the arrest warrant. He said ICJ submitted its application in October 2010, shortly after President Bashir visited Kenya to attend the ceremony promulgating the country’s new constitution. In international headlines, Bashir’s attendance largely overshadowed the event, sparking condemnation because Kenya, a party to the ICC’s Rome Statute, permitted Bashir’s visit following ICC issued arrest warrants for war crimes allegedly committed in Darfur. “When Bashir visited Kenya, we felt the law should be upheld,” Kegoro told Enough. ICJ applied for a provisional arrest warrant provided for in Kenya’s 2008 International Crimes Act, for which a suspect is eligible if he or she is wanted by the ICC and may come to Kenya. 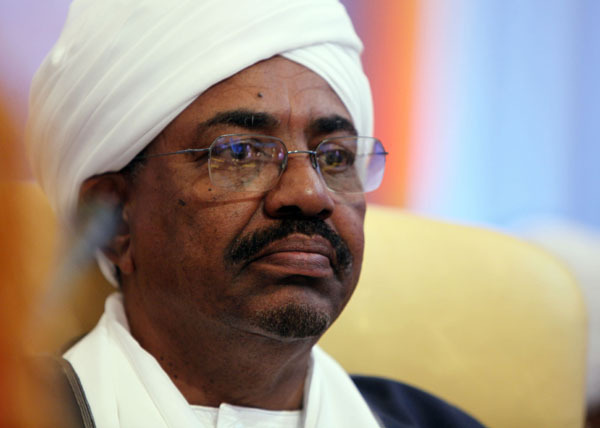 In its ruling, the High Court said Bashir’s arrest "should be effected by the attorney general and the minister for internal security should he ever set foot in Kenya." Critics of the Kenyan court’s move have tried to dismiss the ruling as an attempt by ICJ— a vocal supporter of the ICC’s process to prosecute crimes related to Kenya’s post-election violence—to make a political statement in support of the International Criminal Court after Bashir successfully visited a number of ICC member countries. Kegoro of ICJ rejects the suggestions. “We are above political intrigue,” he said. “Once these dramas die down we can work with the [Kenyan] authorities to determine how this ruling can play out and be complied with.” He added that he “has no reason to doubt” government officials who have indicated they will appeal the ruling after reviewing the written judgment, which will likely be issued next week.